Vote Holtzople for The Best of Frederick, MD! Vote Holtzople for The Best of Frederick, MD 2015! 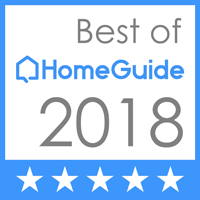 From now until November 15th, voting for the 2015 Best of Frederick is going on and you can help Holtzople once again win the Heating & Air Conditioning Services category for the best HVAC company in the area! Just go to the Best of Frederick, MD voting page and type in “Holtzople” for the Heating / Air Conditioning category! Results will be announced in February – so get to voting!